Samford University continues a growth pattern that began eight years ago and exceeds national norms, setting a fall enrollment record for the ninth consecutive year. University officials announced a record of 5,509 students as of Sept. 8. Included in the totals are 3,373 undergraduate and 2,136 graduate/professional students, both records, representing 45 states, the District of Columbia, and 29 other countries. The freshman class is one of the most diverse and academically accomplished in Samford history. Samford University is regularly recognized as one of the top national Christian universities in the United States. In its annual ranking of the best colleges, U.S. News & World Report ranks Samford #4 in the South among regional universities and #3 in the South for best undergraduate teaching. 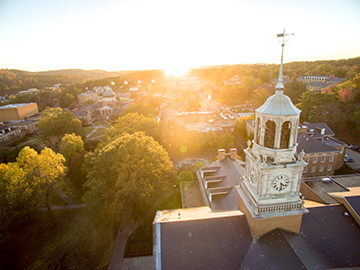 Samford also is recognized as the top-ranked university in the state of Alabama in rankings published by Forbes Inc., The Economist and The Wall Street Journal/Times Higher Education.